This file is from the "Clown in the Dumps" episode of FOX show The Simpsons. Its use is believed to qualify as fair use under United States copyright law. 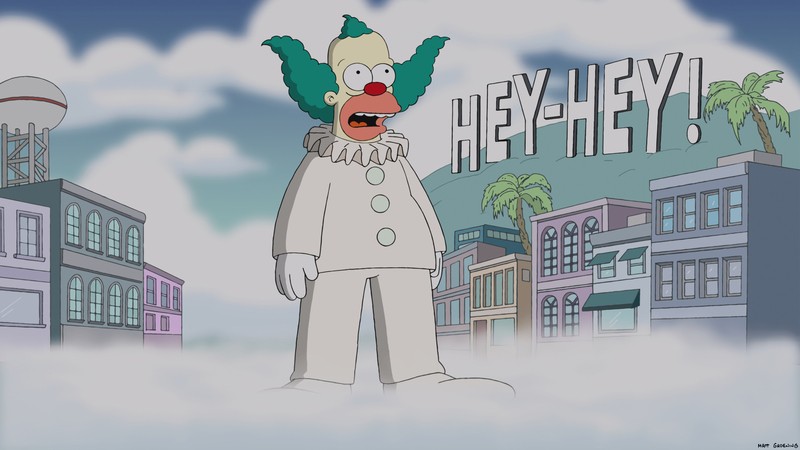 THE SIMPSONS: Krusty's decision to retire after heÕs offended by a comedy cable channel roast of him, has dire consequences for one citizen of Springfield in the all-new ÒClown in the DumpsÓ milestone season 26 premiere episode of THE SIMPSONS airing Sunday, Sept. 28 (8:00-8:30 PM ET/PT) on FOX. THE SIMPSONS ªÊand © 2014 TCFFC ALL RIGHTS RESERVED. Modified on September 11, 2014, at 14:49.